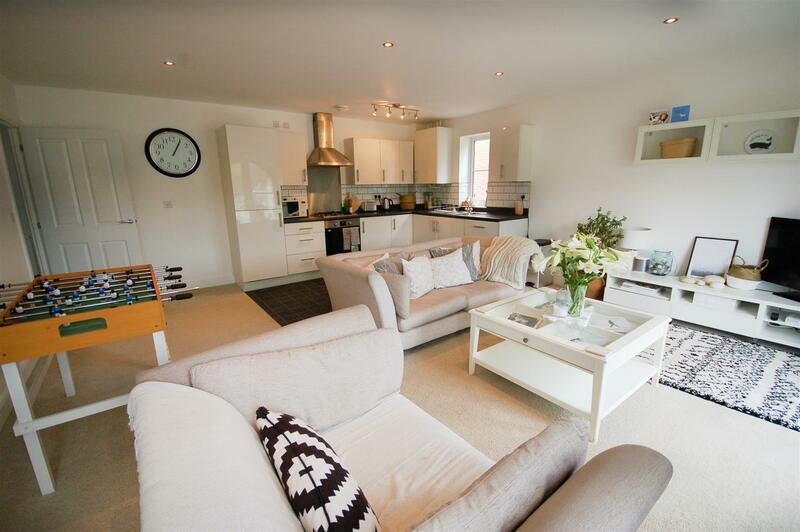 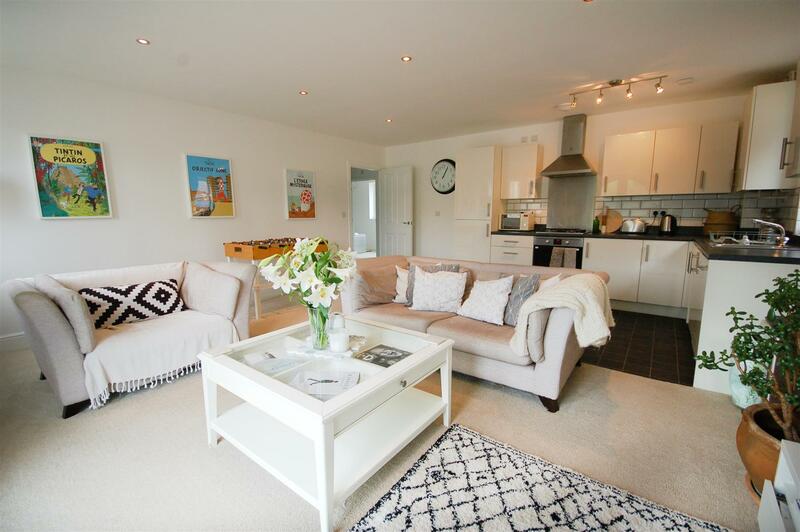 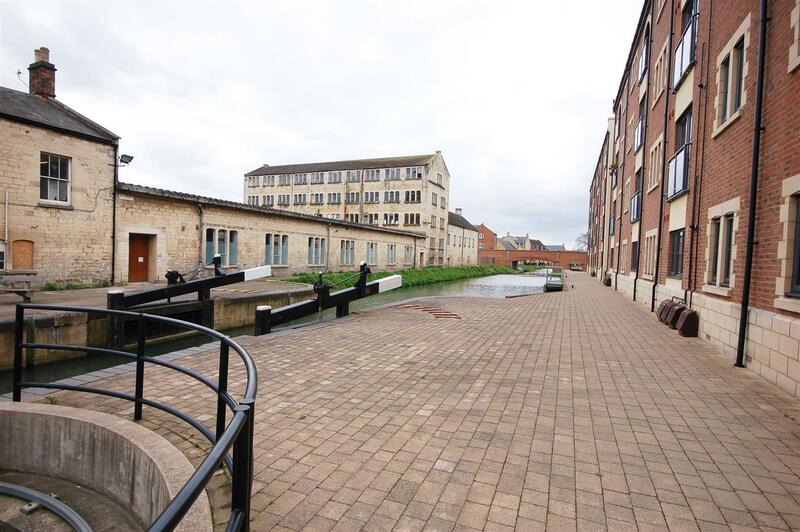 A STYLISH TWO DOUBLE BEDROOM APARTMENT SITUATED IN A CANAL SIDE LOCATION! 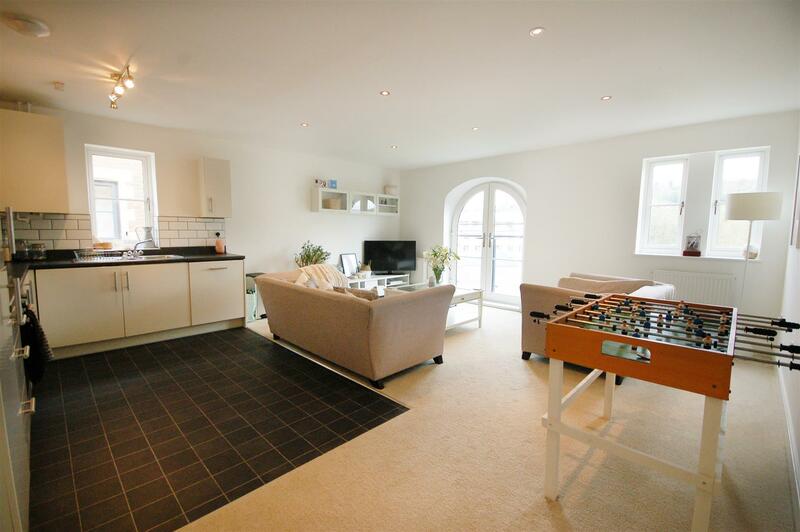 Internally the property consists of a large entrance hall, 19' Open plan Living room/Kitchen, two double bedrooms (en suite to master) and a family bathroom. 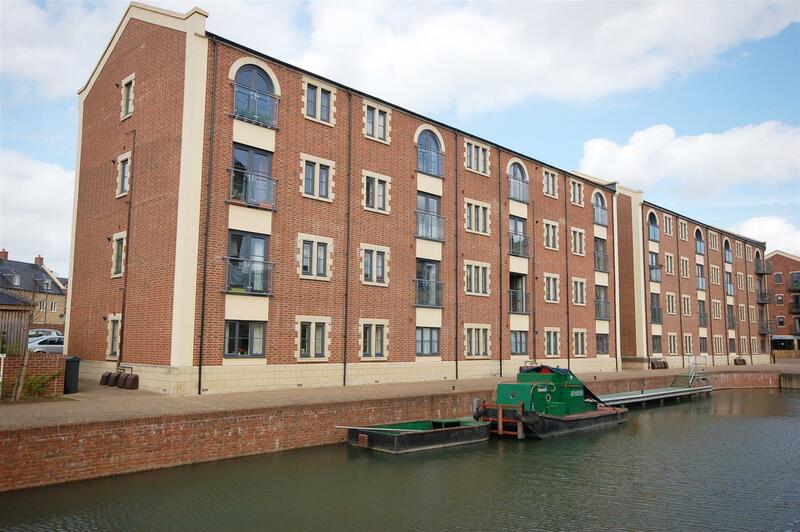 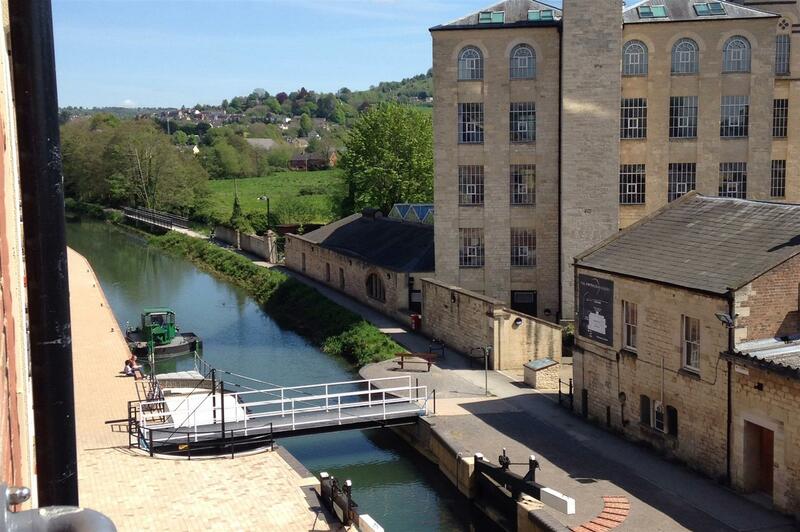 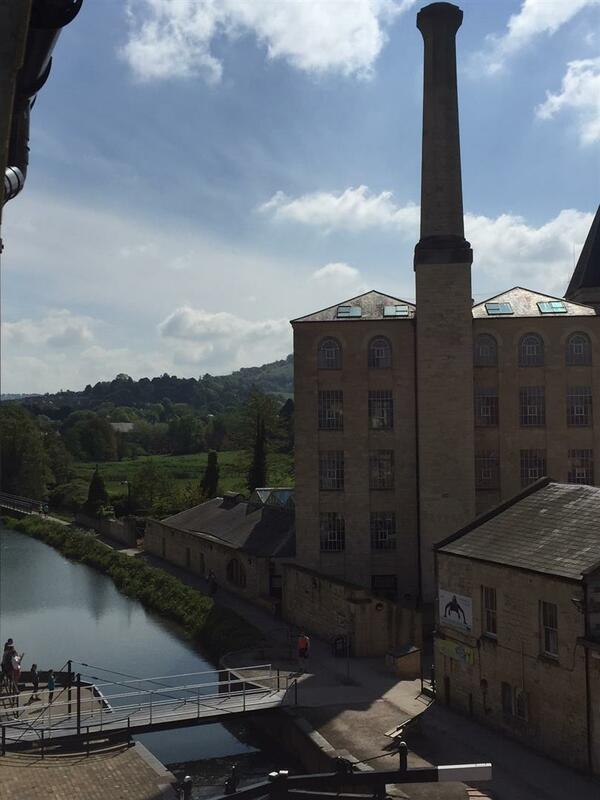 Positioned on the top floor, the apartment enjoys views over the Stroudwater canal and up to Selsley common as well as being close to Kitsch wine bar! 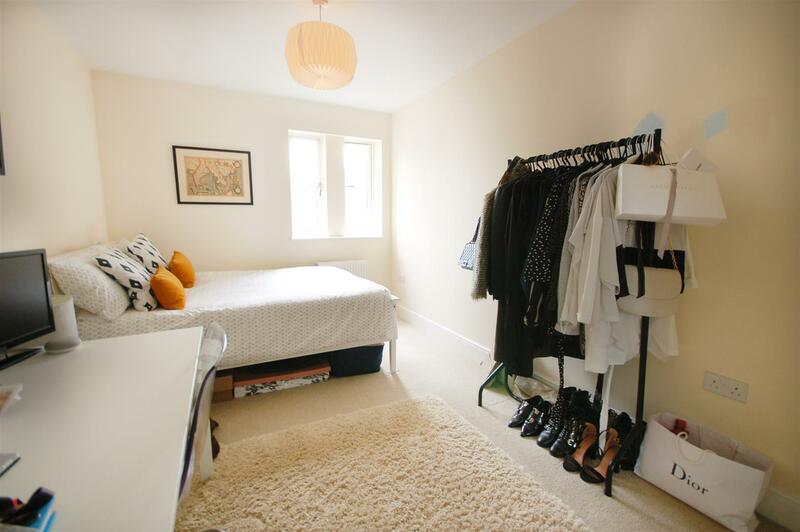 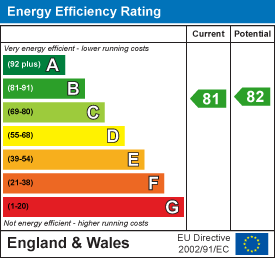 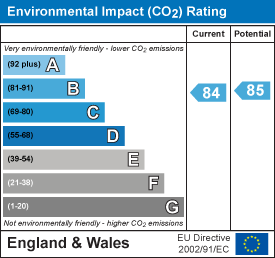 Further benefits include allocated off road parking, double glazing and central heating. 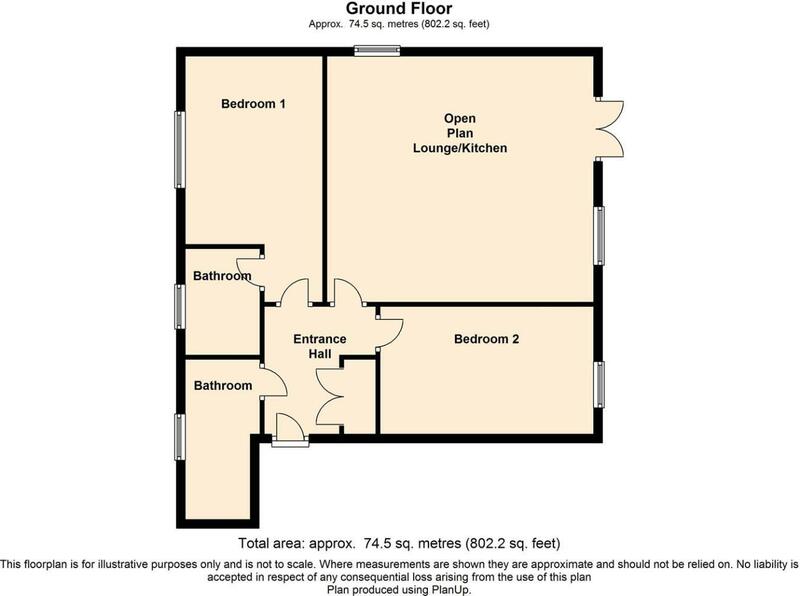 Open plan living area/kitchen - 5.79m x 5.31m (19' x 17'5) - Windows to side and rear aspect, feature dome doors to juliet balcony, two radiators. 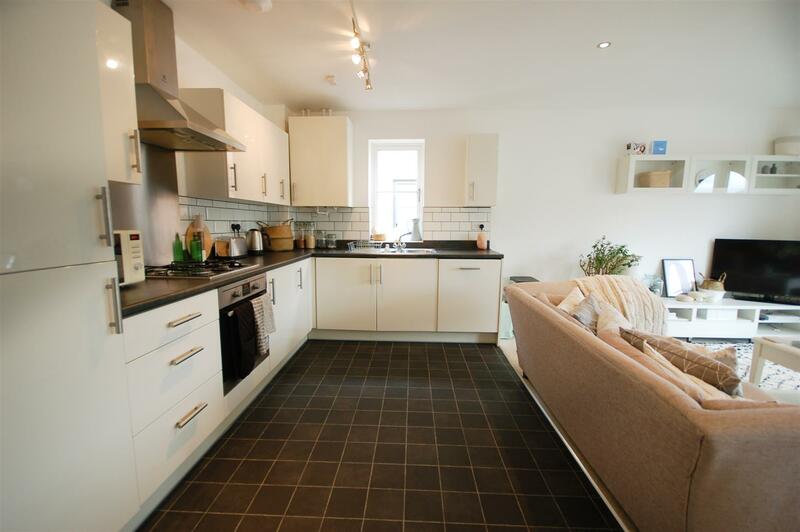 Kitchen area - Range of eye level and base line storage units, one and half bowl sink unit, integral dishwasher, washer/drier, gas hob, electric oven and extractor hood. 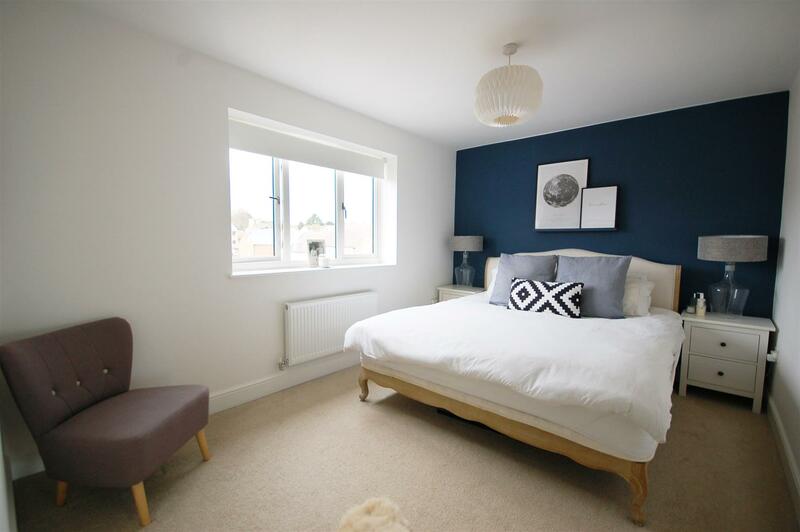 Bedroom one - 5.31m max x 2.95m (17'5 max x 9'8) - UPVC double glazed window to front aspect, radiator. 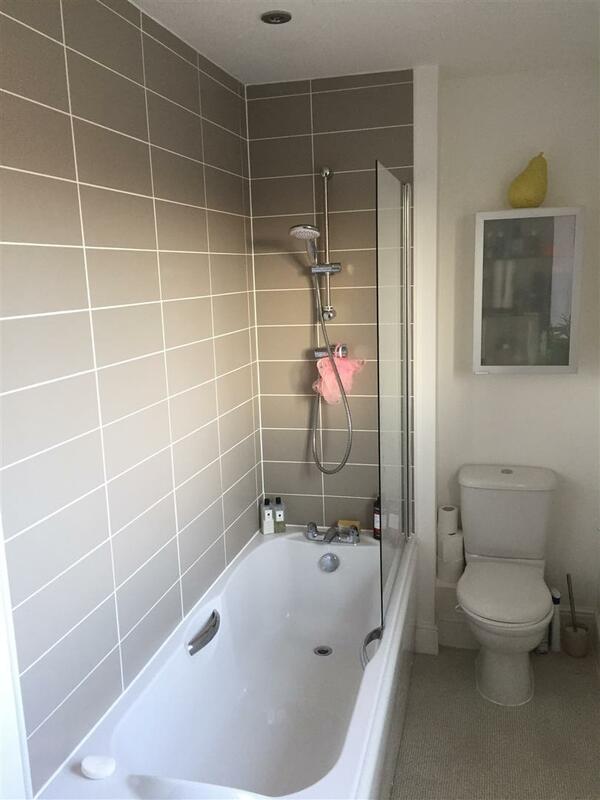 En suite - UPVC double glazed window to front aspect, shower cubicle, chrome towel rail, low level w/c, pedestal wash hand basin. 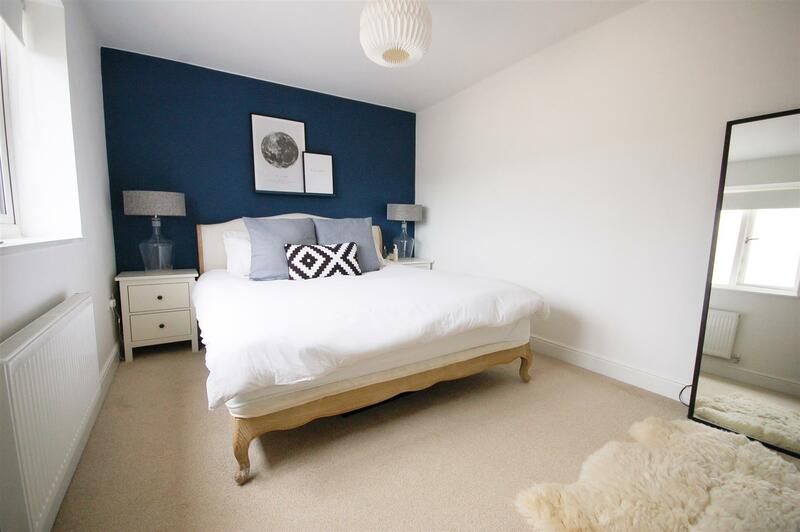 Bedroom two - 4.52m x 2.77m (14'10 x 9'1) - UPVC double glazed window to rear aspect, radiator. 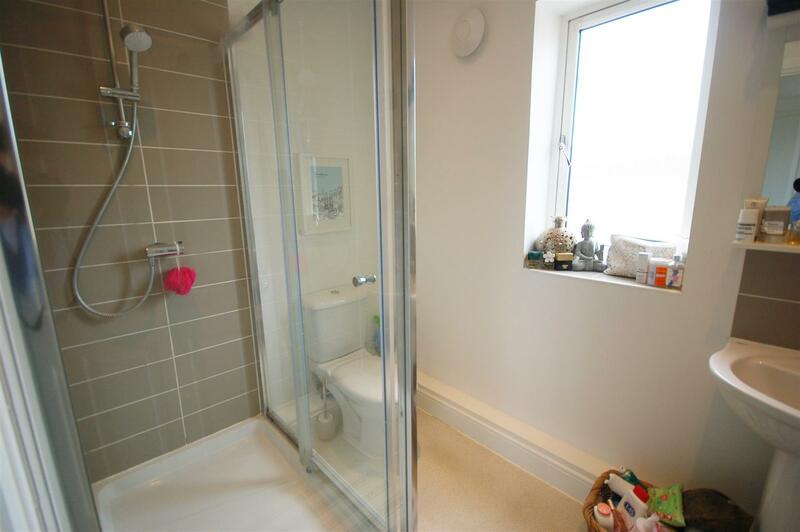 Bathroom - UPVC double glazed window to front aspect, low level w/c, panelled bath with shower over, pedestal wash hand basin. 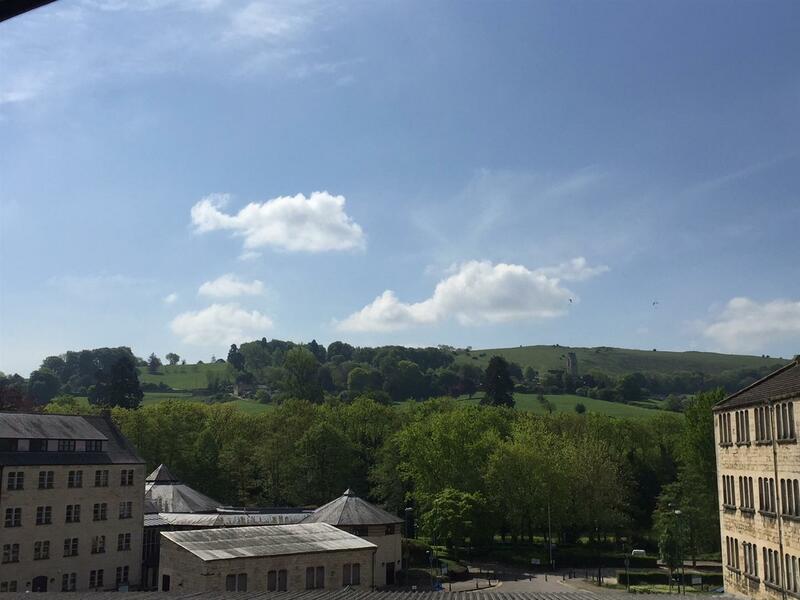 Allocated parking - There is an allocated parking space for one vehicle. 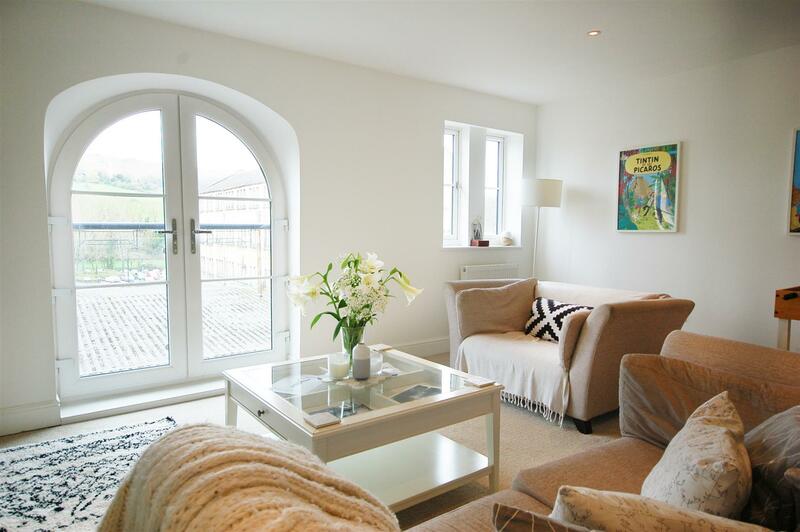 "2 bedroom purpose built apartment for sale in Stroud,"